Sammy's father was Chinese and his mother English. He played for Watford between 1957 and 1965. 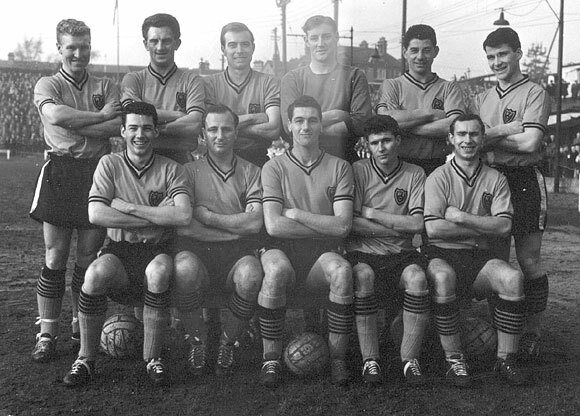 Watford Football Club in the early 1960s. Cyril 'Sammy' Chung is in the back row, second on the right. 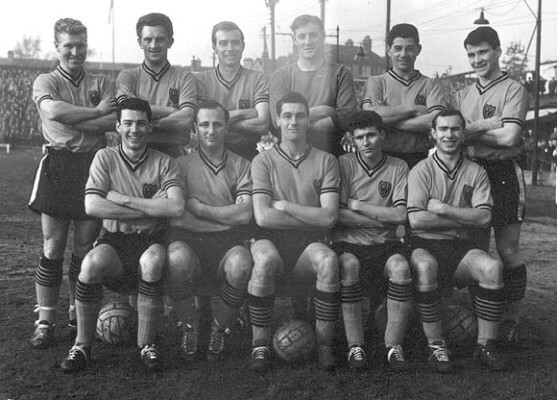 The image below shows Watford Football Club in the early 1960s. In the back row, second on the right, is Cyril ‘Sammy’ Chung. Born in Berkshire, his father was Chinese and his mother English. He played for Watford between 1957 and 1965 and made 220 full league appearances for Watford. He went on to be a football manager. This page was added on 08/09/2006. I watched Fred Bunce at Watford and met Fred in Australia and played against him. We became friends and he called me Mr Watford. He passed away a few years ago but still keep in touch with his son Mark. Bobby Bell nicest bloke ever, road ran around town and never failed to acknowledge a young fan. Sammy Chung totally committed to football and young footballers. Cliff Holton Was it 48 goals in one season. Denis uphill one of the tastiest inside forwards ever to grace Vicarage Road. I think Vince McNeice worked for a short period in the 1950’s at Rilliing-Hills Ltd, Southwark London with my father John “Jack” Blake; making ladies hair preparations. I met him at the works and he was always pleasant to me. I was then only a boy. This picture brings so many memories of such a great team. Once had Dennis uphill in my car,met him in Watford hospital And drove him home to his house west Watford. An absolute pleasure. I signed for Watford the year following when this photo was taken.I have been trying to get confirmation of a goal I scored against Port Vale in 1963/4 season straight from the kick off. I’m hoping that either Chris or Gary remembers it. I would really like you to contact me if you do. Yes, that’s definitely Jimmy Linton in the photo. And Sammy Chung used to run training sessions at local primary schools on the look-out for promising young players. He visited my school, Cassiobury, and I was very excited to meet him as a regualr Golden Boys supporter. George Catleugh used to coach and take training sessions for Bushey Rangers in the late 1960’s / Early 1970’s at King George IV, Recreation Ground, Bushey. I later played football with Bobby Bell for Cornell Electrics in the Watford Saturday Football League in 1977/78. I have the Watford Observer photo of the Team. They were both very interesting characters. I’m sad they are no longer with us. R I P, George and Bobby. I used to run a jewellers shop in Watford & when Dennis Uphill came in I recognised him straight away & when he gave his name I teased him about a person with his name was one of my all time football heroes. I pretended that it couldn’t possibly be him etc but I made up for it by repairing his watch for nothing. I think he was amazed that I remembered him. Micky Benning, Dennis Uphill, Cliff Holton, Barry Hartle, Freddie Bunce. This was a very good team. It was said that the Rookery End stand was built to stop Freddie Bunce running head down into the allotments.